Contra dances every first, third, and fifth Saturday at the Capitol City Grange in Montpelier (located on Northfield Street/Route 12 just south of the I-89 overpass), 8–11 p.m. Admission is $10 for adults, $5 for kids & low-income, $15 for “dance supporters”, who make it possible for us to allow for people to pay less, while still rewarding our great bands and callers. We provide a “newcomers” session at about 7:30, led by the dance caller. Bring your friends, too! Bring clean, soft-soled shoes, please, for the sake of our beautiful dance floor! We also suggest light clothing and a water bottle, which you can fill at our water-bottle filler and water-fountain. It’s important to keep hydrated while you’re having fun dancing! We are a friendly and open dance community! Beginners, singles, and all ages are welcome; all dances are taught. Whoever you are, we invite you to come share the joy of dancing with us! 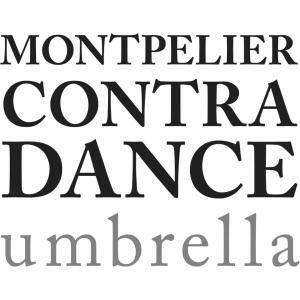 The dance is organized by the Contra Dance Umbrella, a group of Montpelier dancers. If you have questions, concerns, suggestions, or want to know more about the Montpelier dance at any time, feel free to talk with one of these lovely people or call 802-225-8921. In case of really bad weather, to find out the status of the dance, please check the Montpelier Contra Dance Facebook page for the latest information, or call 802-225-8921. If you’re interested in other dances nearby, visit the Dance Gypsy website (www.thedancegypsy.com), which has lots of local listings for dancing of all kinds! The Bone Folders are Julie Metcalf, Bruce Rosen, Joel Wennerstrom Montpelier Contra Dance Facebook Page New admission policy: $5 (or more) for kids & low income $10 (or more) for adults $15 (or more) for dance supporters, to keep it affordable for all To help preserve our dance floor, please bring a pair of clean, soft-soled shoes to dance in. Instruction session before each dance at 7:35 P.M.
Montpelier Contra Dance Facebook Page New admission policy: $5 (or more) for kids & low income $10 (or more) for adults $15 (or more) for dance supporters, to keep it affordable for all To help preserve our dance floor, please bring a pair of clean, soft-soled shoes to dance in. Instruction session before each dance at 7:35 P.M. Stomp Rocket is Dave Langford, Glen Loper, Bethany Waickman Montpelier Contra Dance Facebook Page New admission policy: $5 (or more) for kids & low income $10 (or more) for adults $15 (or more) for dance supporters, to keep it affordable for all To help preserve our dance floor, please bring a pair of clean, soft-soled shoes to dance in. Instruction session before each dance at 7:35 P.M. The Faux Paws are Andrew VanNorstrand, Noah VanNorstrand, Chris Miller Montpelier Contra Dance Facebook Page New admission policy: $5 (or more) for kids & low income $10 (or more) for adults $15 (or more) for dance supporters, to keep it affordable for all To help preserve our dance floor, please bring a pair of clean, soft-soled shoes to dance in. Instruction session before each dance at 7:35 P.M. The Long Pond Rounders are Jonah Sidman, Corey Walters, Michael Friedman, Ness Smith-Savedoff Montpelier Contra Dance Facebook Page New admission policy: $5 (or more) for kids & low income $10 (or more) for adults $15 (or more) for dance supporters, to keep it affordable for all To help preserve our dance floor, please bring a pair of clean, soft-soled shoes to dance in. Instruction session before each dance at 7:35 P.M.